Nhlanhla Nene Archives - Africa M.E. 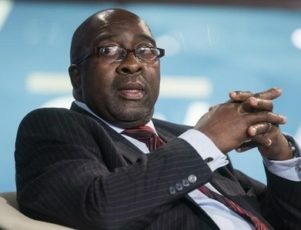 JOHANNESBURG (Reuters) – Former finance minister Nhlanhla Nene has been appointed as an advisor at Thebe Investment Corporation to help roll-out the firm’s growth plan, his second private sector job in a week. Nene said on Thursday in an interview with Business Day TV that his appointment will be full-time for a term of two years effective from next month. “This is interesting that I find myself in the public sector again,” he said. On Monday, Asset management group Allan Gray appointed Nene as a non-executive director, hoping to tap his strategic and leadership skills. President Jacob Zuma fired Nene, who was keen to rein in government spending in Africa’s most industrialised economy, in December, replacing him with little-known David van Rooyen. Days later, Zuma appointed Pravin Gordhan as finance minister, giving South Africa its third finance chief in a week after a selling frenzy in the markets. 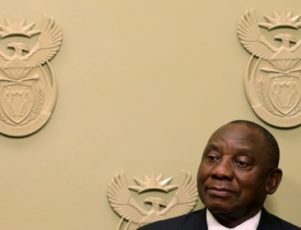 JOHANNESBURG (Reuters) – South Africa’s main stock index slumped more than 2 percent on Friday as jittery investors continued to pull out of the market after Wednesday’s shock dismissal of the finance minister. Banks, which are most at risk if South Africa’s credit rating is downgraded in the wake of the removal of Nhlanhla Nene, led the decliners, with Barclays Africa plummeting nearly 20 percent.